Haka Educational Tours are proud to have been endorsed as a recommended tour operator to Space Camp at the US Space and Rocket Center in Huntsville Alabama, and we’re giving you the chance to experience this out of this world learning environment first hand. During this week-long programme you'll enjoy immersive astronaut training activities, simulations, and mission scenarios and get access to your own mission control website with lesson plans and tips on how to bring their experiences to life in the classroom. And did we mention you'll get to meet a real astronaut! Many of the activities are similar to Space Camp for students, so you'll be able to get a first hand insight into what your students could gain from attending Space Camp, whilst benefiting from the professional development and personal growth opportunities that the course provides. 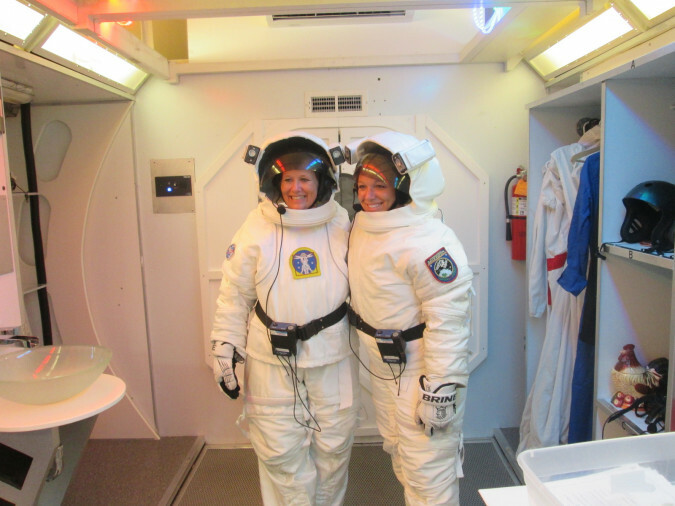 Get your very own flight suit to wear during the training and take home with you. $1000 NZD + Flights. Your package includes airport transfers, 5 nights of accommodation, and all meals while at Space Camp.